Signpost for the southern terminus at I-70. Photo by Jeremy Lance. 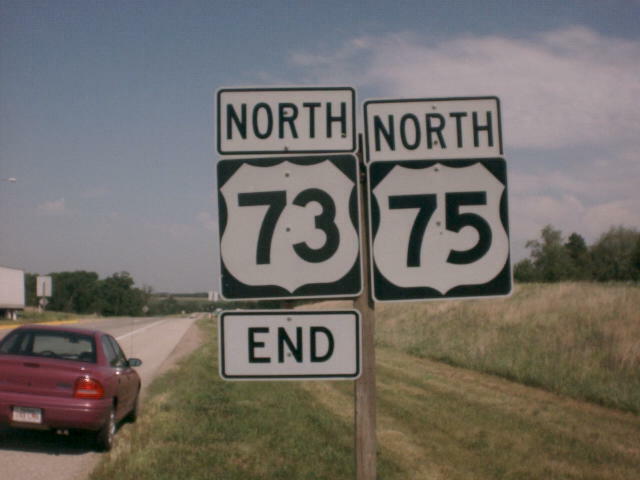 An END guide sign for US 73's northern end. Photo by Jeremy Lance. 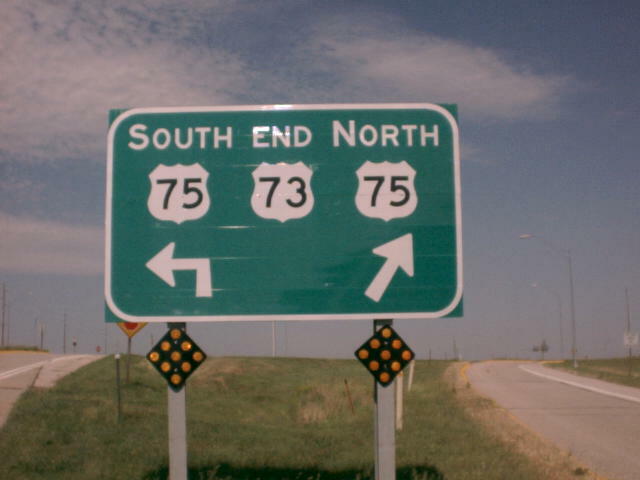 An actual end shield exists at the end of the ramp where US 73 merges onto northbound US 75. 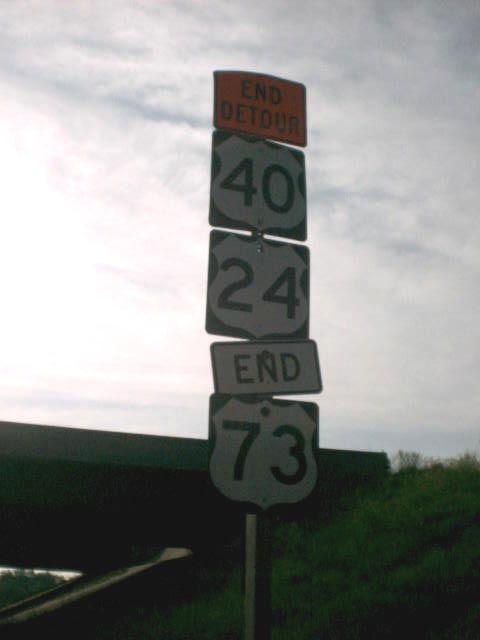 US 73 had extended further north prior to the mid-80s. Photo by Jeremy Lance.